Paris, SANA-A design by fans of Syrian Tishreen football team came third in the top 3D designs of the best 10 gigantic posters raised on the auditoriums of the world playgrounds this week according to French La Grinta magazine. The magazine, every week, searches for the best gigantic posters with criterion based on the originality in the motto raised and the high quality of the design in addition to talent in the idea. 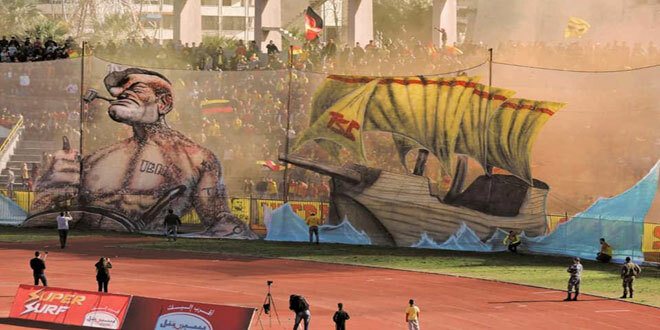 Fans of Tishreen club raised a huge poster which was hand-made, to be one of the gigantic 3D designs on al-Basel stadium in Lattakia.